The president of Nintendo admitted to analysts after the press conference this morning that he wanted the 3D handheld to drop in time for the holiday retail season. Satoru Iwata said the 3DS was delayed because he was afraid that Nintendo would not be able to produce enough units to meet the demand. Rather than risk massive sellouts and scrambling for hardware like what consumers experienced with the Wii, Iwata decided to release the 3DS in Feb. 2011. Despite the common sense of Iwata's strategy, financial analysts are calling the delay a "worst-case scenario." 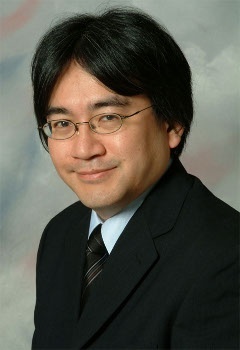 "While the 3-D has been well-received, we are not overly optimistic," Iwata said. "One hurdle is that people cannot understand the positives of the 3DS without getting their hands on it." One person who is definitely not optimistic is analyst Jay Defibuahg. "Today's 3DS announcement was a worst-case scenario," the equities research director at MF Global FXA Securities in Tokyo. He had hoped that the 3DS would come out in 2010 and have 3G wireless connectivity. Nintendo's stock fell 4% with the news of the delay. Nintendo also issued a statement reducing its profit predictions for this fiscal year from $2.4 billion to $1.08 billion, in part because of the strong Japanese yen but also due to the delay of the 3DS and the lagging DS and Wii sales. Iwata is indeed heavily gambling on the 3DS, but he wants to make sure that he has the units to back it up. We'll see what happens in February 2011, but I know that at least I am going to buy one when it comes out.